Incredible. Amazing. Phenomenal. Your Calgary Wedding DJ. To find lasting love is worth a joyous celebration. 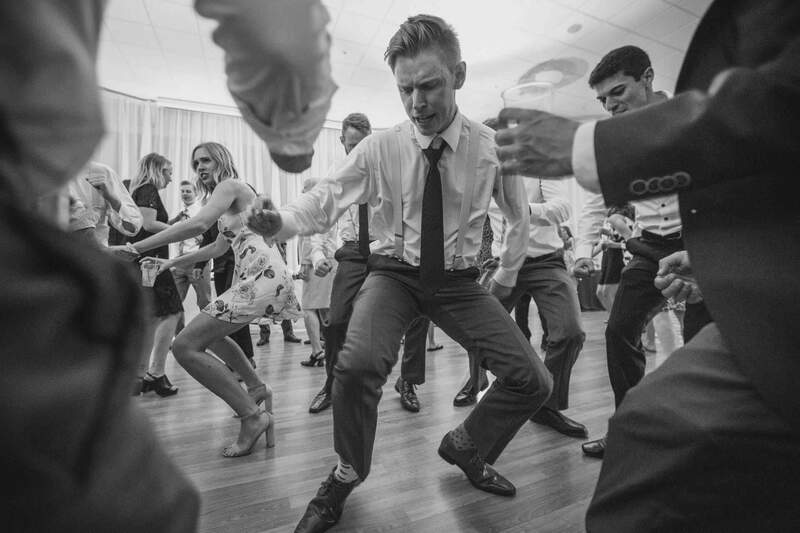 We love to bring our smooth wedding DJ moves to events like yours to watch people who normally stay planted in their chairs at wedding receptions get up and get jiggy with it. But what we love most of all is to hear a couple’s story, then co-create with them a dream evening which captures their personalities, their energies, their gratitude in finding each other, and their excitement and optimism for the future. We consider it a privilege to help couples start their marriages off on the right foot. We want to usher you into your marriage and the union of two families by rewarding all of your wedding preparations with laughter and loving moments. 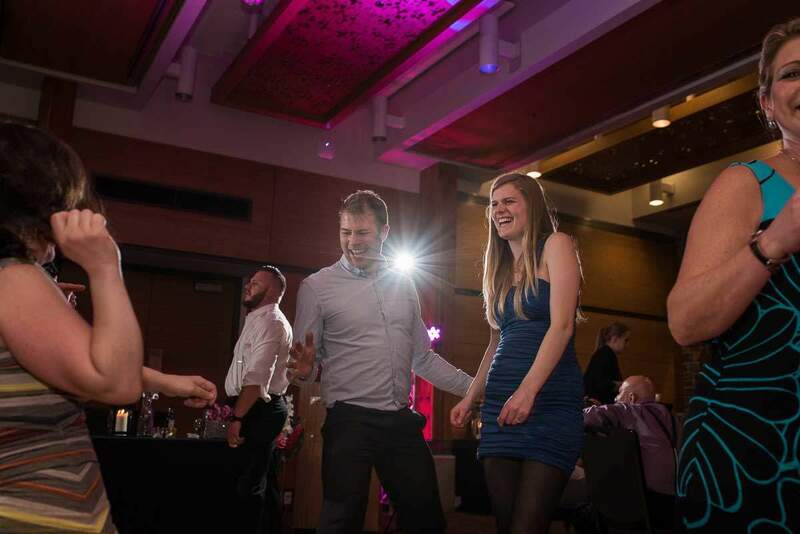 Our Calgary Wedding DJ package is just $1195 for up to 7 hours! We’re so happy about how the evening of our wedding turned out. We can’t imagine how it could have gone better! Thank you so much, you had such a crucial role in making our dance as fun and fancy as it was! Our wedding DJs strive to create your perfect wedding playlist. Tell us what songs you like. Our DJs will customize the music to fit you. You’ve waited for this day for a long time, and now it is going to be a reality. Don’t settle for just any wedding DJ. Don’t worry. We’ve got you covered. Let our professional DJs handle the music and microphones at your wedding ceremony. We’ll provide a system with everything you need to make sure every part of your wedding ceremony is heard. We always start the prelude music early. We know how long and how loud to play your processional music, and we know exactly when to start the recessional music. It’s that important! This Is Your Once In A Lifetime Event. Our professional DJs are going to do everything in their power to make your day as perfect as you’ve always dreamed it could be. Your wedding will be an event your guests will talk about for years to come. We attend nearly one hundred weddings every year. Because of this we’re familiar with the staff and layout at nearly every venue in Southern Alberta, as well as venues across the country. It doesn’t matter if your wedding is at the DeWinton Community Hall or the Fairmont Banff Springs Hotel, we know how to get in and make your wedding an event to remember. We are still in shock over how many people actually danced. Even people we thought never would were up dancing and having a good time. We are so happy with the way everything turned out, it was exactly what we were looking for. Thanks so much!! We get it. Calgary Wedding DJ packages can be confusing, and all you really care about is that things sound good, look good, and that every one has a great time. That’s why we got rid of them. $1195 is all you have to pay for most weddings up to 7 hours with one of our Calgary DJs. Our setup and tear down time isn’t included in your time, and if your wedding is longer then each additional hour is just $100. Ceremonies are no additional charge if they’re in the same location (room) as the reception. And if they’re not, they’re only $100 too! Everything for a successful wedding is included – wireless mics for speeches, LED dance floor lighting (if you want it), and unlimited consultations to make sure everything goes just right. Additional customization’s such as our photo booths, LED uplighting, monogram projections, and video screens are also available. Every Dance! Shout! Wedding gets everything listed below! How Can We Help You Make Your Calgary Wedding Great? Some images and video on this page were provided by JM Photography, Wild North Photo and Film, and K&E Imaging.